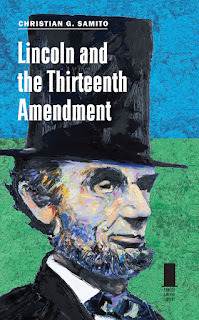 Legal History Blog: Samito's "Lincoln and the Thirteenth Amendment"
Christian G. Samito, has published Lincoln and the Thirteenth Amendment in the Concise Lincoln Library Series of the Southern Illinois University Press. Long before the Civil War, Abraham Lincoln recognized the challenge American slavery posed to the ideals of the Declaration of Independence. A constitutional amendment would be the ideal solution to ending slavery, yet the idea of such an amendment conflicted with several of Lincoln’s long-held positions. In this study, Christian G. Samito examines how Lincoln’s opposition to amending the United States Constitution shaped his political views before he became president, and how constitutional arguments overcame Lincoln’s objections, turning him into a supporter of the Thirteenth Amendment by 1864. 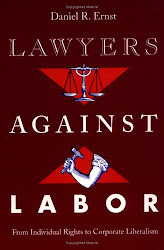 For most of his political career, Samito shows, Lincoln opposed changing the Constitution, even to overturn Supreme Court rulings with which he disagreed. Well into his presidency, he argued that emancipation should take place only on the state level because the federal government had no jurisdiction to control slavery in the states. Between January 1863 and mid-1864, however, Lincoln came to support a constitutional amendment to abolish slavery because it worked within the constitutional structure and preserved key components of American constitutionalism in the face of Radical Republican schemes. Samito relates how Lincoln made the amendment an issue in his 1864 reelection campaign, chronicles lobbying efforts and the final vote in the House on the amendment resolution, and interrogates various charges of corruption and back-room deals. He also considers the Thirteenth Amendment in the context of the Hampton Roads conference, Lincoln’s own thoughts on the meaning of the amendment, and the impact of Lincoln’s assassination on the reading of the amendment. 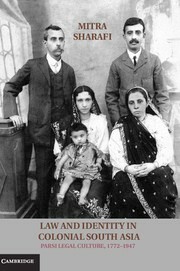 Samito provides the authoritative historical treatment of a story so compelling it was recently dramatized in the movie Lincoln. 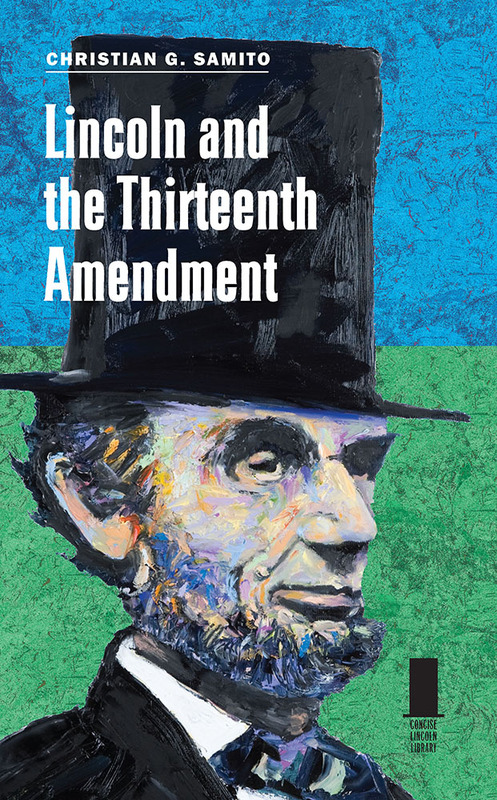 Closing with a lively discussion that applies the Thirteenth Amendment to current events, this concise yet comprehensive volume demonstrates how the constitutional change Lincoln helped bring about continues to be relevant today. 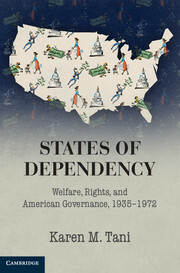 “Christian G. Samito sheds new light on how Lincoln came to support the Thirteenth Amendment and on the intricate maneuvers necessary to obtain its approval by Congress and ratification by the states. This is an essential account of Lincoln’s developing views and his political strategy as he moved from opposing the spread of slavery to securing its complete abolition.”—George Rutherglen, John Barbee Minor Distinguished Professor of Law at the University of Virginia.